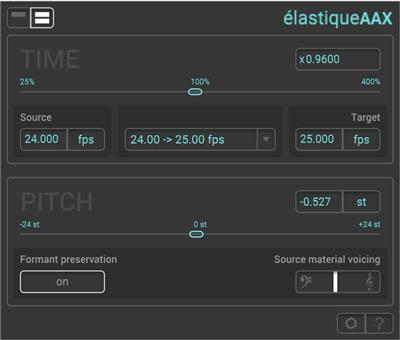 élastiqueAAX is zplane's time and pitch manipulation plugin for Pro Tools. It uses the élastiquePro V3 time-stretching and pitch shifting engine which is integrated in numerous DAWs and satisfies millions of users around the world. This ensures the highest, program independent time-stretching/pitch-shifting quality.